The latest album of this master of Seville is a tribute honoring this unique landmark in his hometown, the María Luisa park. The latest album of this master of Seville is a tribute honoring this unique landmark in his hometown, the María Luisa park. To be able to speak with authority, even if just to give a subjective opinion about this work, it’s essential to listen to this album more than once, I’d say many times. Only then will listeners become bound to the music playing in their minds like an ever-present heartbeat. 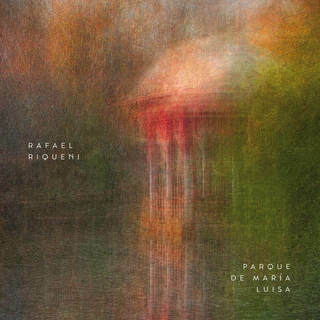 No one should rush to give their opinion without knowing this album well, because Parque de María Luisa will become part of Spanish musical history, just like Noche en Los Jardines de España or Recuerdos de La Alhambra. Riqueni once told me that, while he was a flamenco guitarist, he considered himself, above all, a musician. 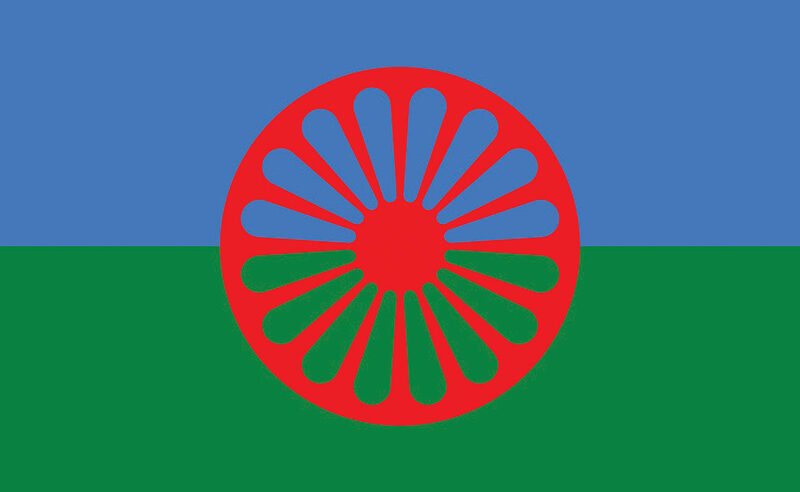 I would say about Rafael what Lorca said about himself: that above being Spanish or Andalusian, he is universal. That 13-year old kid who in 1976 amazed the public at the Lope de Vega theater playing rondeñas and soleares had a brilliant career ahead of him, although he would experience thorny periods which would bestow upon him that hostile strand which characterizes all geniuses. His discography speaks by itself, as he leaves behind albums where all his technique captures a mixture of flamenco and sacred precision. 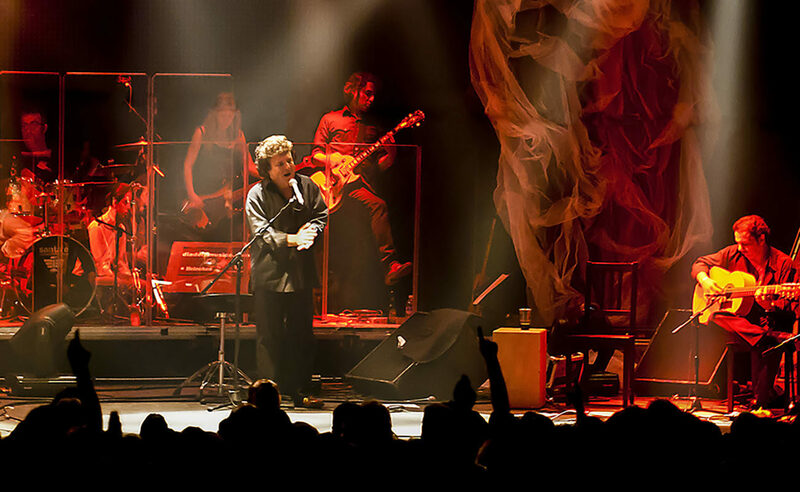 Riqueni is a flamenco guitarist, but above all a musical genius, who in 2017 gifted us all with a suite honoring a landmark of Seville, as twelve years before he had already released an album paying tribute to the whole city. It’s almost one hour of music that can be enjoyed by everyone, or rather by everyone with good taste, as it’s devoid of virtuosity but loaded with melodic richness, a clean resonance of new tunes and colossal expressive wealth. His scale of arpeggios evokes ripples in the water rocking the dry leaves in “La Isleta de Los Patos”, and he hints of that 19th century joy of elegant ladies and gentlemen on a walk in “Plaza de España”, which starts with a cheerful Sevillian dance and ends with the tinge of a Madrid chotis. It’s a remarkable display of amazing skill combining the notes of a lost melancholy with joyful scenes wrapped in the memory of times past. Parque de María Luisa would make the perfect soundtrack for a sepia-colored 1800s Seville. That link, without any hope of continuity, of sorrows, romantic or childish, of loneliness and foolish love; with the exuberant explosion of anger and self-assurance, of exhilaration diluted in memories, evoked like children’s songs sang together, all imprinted with a polyphony that he manages to bring to the present and write down on a music sheet; is art that can only express feelings mixed with experience and hard work. That quick cycle between two contrasting moods is an urgent expressive necessity which has the luxury of defying conventional norms in guitar albums and in the established statutes of flamenco palos, revealing a kind of freedom, yearned and achieved, which without a doubt will open the door to new forms. This duality is revealed with the titles, which allude to specific places in that regal park of Seville, alternating with more subjective hints, interpreted with a lyricism bordering intimacy and romanticism, sensory and scenic perceptions of the gardened enclosure where the fragrance of jasmin, orange blossoms or lady-of-the-nights surround a creative sense perfectly expressed in accords, where the constant chirping of birds and cooing of doves evokes the sequence of notes, from low to high and back. It all mirrors a wounded soul waiting for a day without time, or rewarded with the warmth of one hand, the synesthesia of a visionary artist who knows how to focus his melodic creativity in a place rich in nooks and memories, like the glorieta de Bécquer, with its statue in a desperate gesture, which makes such an impact on the artist. Parque de María Luisa is not an album of flamenco guitar, although flamenco is not forgotten, being featured in Bulería del Parque, where the master himself cheers Raimundo Amador, or por tangos in Monte Gurugú, although well above being a localist work, it’s a masterpiece of contemporary classical music, and that’s the clear intention of the artist, ending the album with a piece that doesn’t feature on single guitar note. 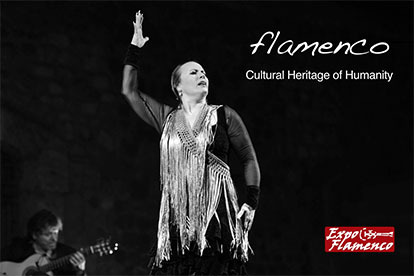 Rafael, you are flamenco to the bone, but remember the words of Paco de Lucía’s father: “You’ll do better with classic”. I think he’ll do better with whatever he put his hands on, because Rafael Riqueni has shown to be able to handle anything in multiple occasions. Thank you, master, for this gift you’ve given to Culture.